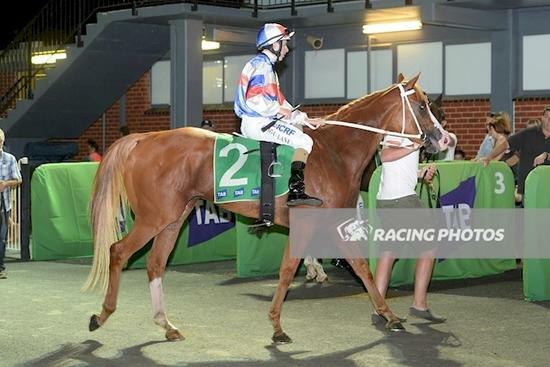 Tea Tree Gully amends for his unlucky first up run at Benalla by winning comfortably at Cranbourne on Friday night over the 1000m in a slick time of 58.89. The son of Magnus even though a 4 year old still has a lot of learning to do and untapped ability was the comment made by jockey Damian Lane who has had two rides for two wins on the horse. Russell feels Tea Tree Gully will work his way through his grade stepping out in a BM 70 in a couple weeks. Congratulations to the owners Price Bloodstock and Damian Lane for a great ride.